Just a few comments from our many satisfied clients throughout the UK. Original copies of all testimonials are kept on file. "Thank you for your report which was thorough and expertly written. I will send it to xxxx, in the hope that they 'do the decent thing'. 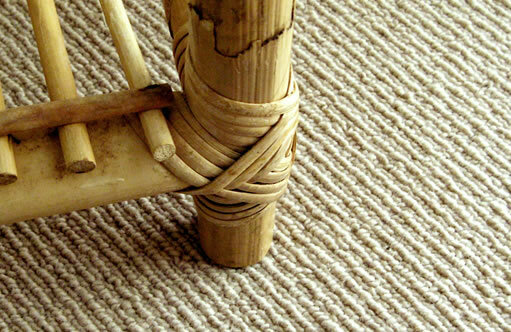 I will request a replacement carpet, fitting cost and your fee. If not then it is a court situation. I am delighted that experts like you, with both charm and knowledge, are available to customers wanting justice". “Both my barrister and I have absolutely no doubt; that if it wasn’t for the superb technical report from Mr Hamilton, we would have lost my wife’s compensation claim after her accidental trip on a stair carpet”. ... Judge H. was very complimentary about your report and I quote "It was a model of how a report should be prepared for a small claim hearing"
I needed to employ an independent carpet consultant when I was in dispute with XXXXXX Carpets over an issue of “Pile Reversal”. They had provided their ‘independent’ consultant who had declared that my carpet was suffering from tracking and not pile reversal. I employed the services of Phill Hamilton of HCS Consultants. From the moment I met him I soon realised I was dealing with a thoroughly professional carpet expert. His knowledge and expertise in this subject was considerable and his subsequent report was very detailed and professionally presented. I have absolutely no hesitation in recommending him in any capacity involving carpet manufacture or fitting disputes. Thank you so much for your inspection report which we have now passed on to our insurance company. We appreciate the advice you offered, the time you took to inspect the carpet and how very efficient you were in getting the report to us. Such a report would simply not have been possible without the very expert assistance and considerable experience of Mr. Hamilton. His approach was entirely professional and his experience seemed to carry considerable weight with the Judge. His fees were reasonable and better still they were all ordered to be paid back to me by the carpet supplier! The report is very detailed and will allow me to resolve the complaint. I will arrange for your details to be kept on file at Head Office. As I mentioned before your details will be passed to the Senior Home Consultant who looks after the area. My Husband and I were vey pleased with the report you submitted. Without your detailed report we most certainly would not have succeeded in our claim against them for poor workmanship when fitting the carpet through our lounge and stairs. Thank you once again for coming to court, the judge called your evidence "robust" and I am truly glad that we had you in court! HCS has consistently provided exemplary service. Without their expertise and persistence I would never have recovered my money. I then used HCS to ensure that my next carpet installation was problem free. From start to finish they were quick to respond and full of helpful advice, saving me money and mitigating any risk of future problems. I am very impressed and very happy with the results. Impeccable service. I would thoroughly recommend Mr Phillip Hamilton and HCS. Phillip Hamilton provided a very professional, detailed report. The quality of the report has enabled me to present it as evidence in a court case. My solicitor was extremely impressed and would not hesitate in recommending HCS to any future clients. Just a quick "Thank You" for your recent visit and comprehensive report, worth every penny!!! - Who would have thought there was a B.S. for fitting carpets. Thank you very much for your quick response to the complaint you attended on our behalf. May I take this opportunity to pass on my bosses' compliments and if we are ever in need of a carpet inspector again you will be the one we call!